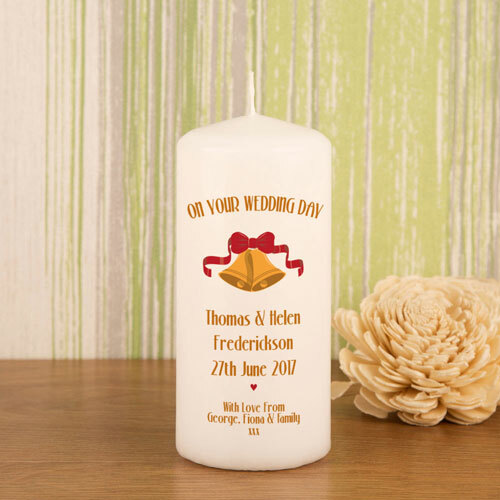 Our personalised candle makes a special keepsake for a newly wedded couple. 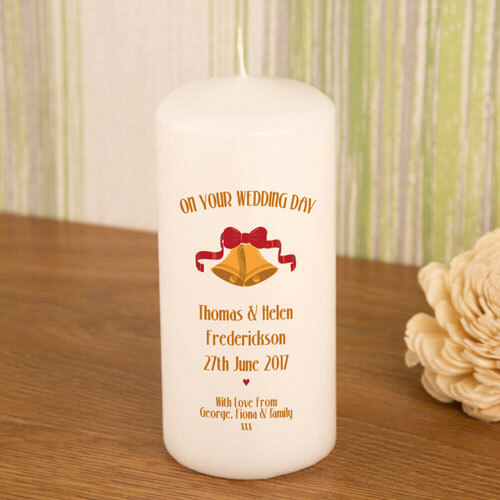 They will love to cherish the bespoke gift to mark the momentous occasion. 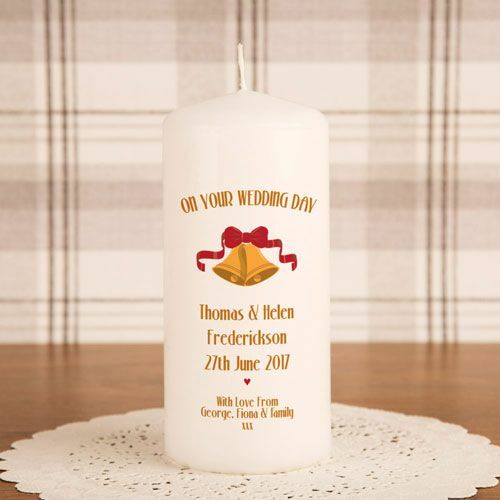 The white pillar candle is printed with a stylish design that reads “On your Wedding Day”. We include the couples names and their special date. There is even option for a personal message if you wish. 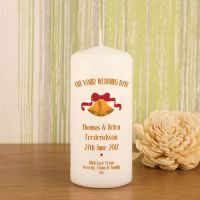 The candle is made complete with a graphic of gold wedding bells and a red ribbon. We take time to tailor each one for the recipient, making each truly individual. 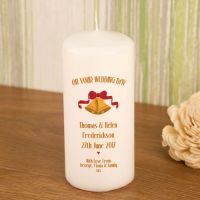 The decorative candle can be cherished and displayed in the home for years to come. 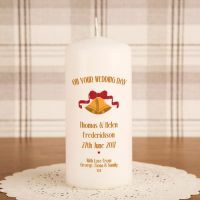 All of our candles are printed and designed in the UK. Comes gift ready in a drawstring organza bag.